Red Square is the most famous city square in Moscow, and arguably one of the most famous in the world. The square separates the Kremlin, the former royal citadel and currently the official residence of the President of Russia, from a historic merchant quarter known as Kitai-gorod. As major streets of Moscow radiate from here in all directions, being promoted to major highways outside the city, Red Square is often considered the central square of Moscow and of all Russia. The rich history of Red Square is reflected in many artworks, including paintings by Vasily Surikov, Konstantin Yuon and others. The square was meant to serve as Moscow's main marketplace. It was also used for various public ceremonies and proclamations, and occasionally as the site of coronation for Russia's czars. The square has been gradually built up since that point and has been used for official ceremonies by all Russian governments since it was established. The name Red Square derives neither from the colour of the bricks around it (which, in fact, were whitewashed at certain points in history) nor from the link between the colour red and communism. Rather, the name came about because the Russian word красная (krasnaya) can mean either "red" or "beautiful" (the latter being archaic). 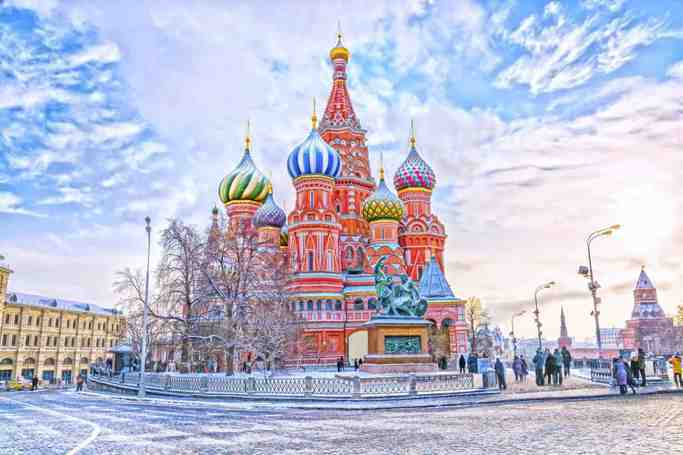 This word, with the meaning "beautiful", was originally applied to Saint Basil's Cathedral and was subsequently transferred to the nearby square. It is believed that the square acquired its current name (replacing the older Pozhar, or "burnt-out place") in the 17th century. Several ancient Russian towns, such as Suzdal, Yelets, and Pereslavl-Zalessky, have their main square named Krasnaya ploshchad, namesake of Moscow's Red Square. During her reign, Catherine the Great decided to make improvements to the square. In 1786, second floors were the stone market lines. This line was built on the opposite side of the square - at moat between the Spasskaya and Nikolskaya towers. Then architect Matvey Kazakov built (in the old forms) the new Lobnoye mesto of hewn stone, slightly west of the place where it was before. In 1804, at the request of merchants, the square was paved in stone. In 1806 Nikolskaya Tower was reconstructed in the Gothic style, and has received a tent roof. The new phase of improvement of the square began after the Napoleonic invasion and fire in 1812. The moat was filled in 1813 and in its place, rows of trees were planted. Market Line along the moat, dilapidated after the fire, had been demolished, and on the eastern side Joseph Bové constructed new building of lines in Empire style. In 1818 the Monument to Minin and Pozharsky, was erected, symbolising the rise in patriotic consciousness during the war. In 1874, the historic building of Zemsky prikaz was demolished. In its place was built the Imperial Historical Museum in pseudo-Russian style. After Bové's lines were demolished, new large buildings were erected between 1888-1893 in the pseudo-Russian style: upper lines (Gum department store) and middle lines. The upper lines was intended for retail sale and were in fact the first department store in Moscow; middle lines intended for the wholesale trade. At the same time (in 1892) the square was illuminated by electric lanterns. In 1909, a tram appeared on the square for the first time. During the Soviet era, Red Square maintained its significance, becoming a focal point for the new state. Besides being the official address of the Soviet government, it was renowned as a showcase for military parades. Kazan Cathedral and Iverskaya Chapel with the Resurrection Gates were demolished to make room for heavy military vehicles driving through the square (both were later rebuilt after the fall of the Soviet Union). There were plans to demolish Moscow's most recognized building, Saint Basil's Cathedral, as well. 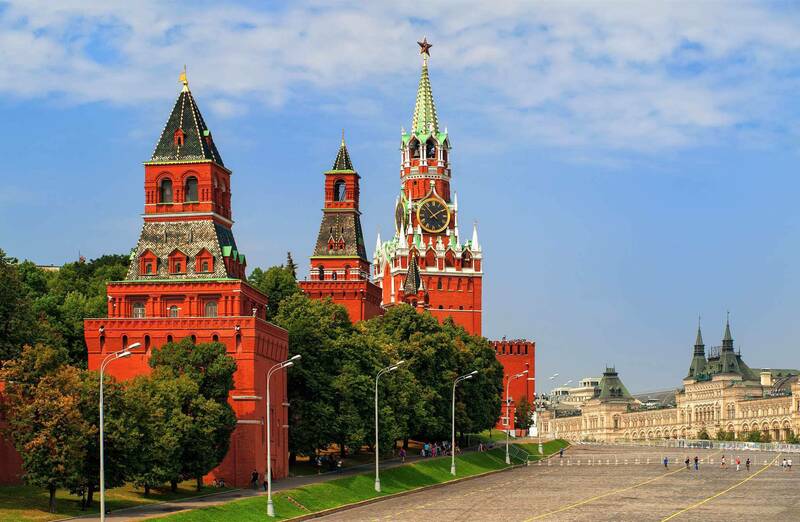 The legend is that Lazar Kaganovich, Stalin's associate and director of the Moscow reconstruction plan, prepared a special model of Red Square, in which the cathedral could be removed, and brought it to Stalin to show how the cathedral was an obstacle for parades and traffic. But when he jerked the cathedral out of the square, Stalin objected with his famous quote: "Lazar! Put it back!". Two of the most significant military parades on Red Square were the one in 1941, when the city was besieged by Germans and troops were leaving Red Square straight to the front lines, and the Victory Parade in 1945, when the banners of defeated Nazi armies were thrown at the foot of Lenin's Mausoleum. The Soviet Union held very many parades in Red Square for May Day, Victory Day, and the October Revolution which consisted of propaganda, flags, a labor demonstration, and a troops march and show-off of tanks and missles. 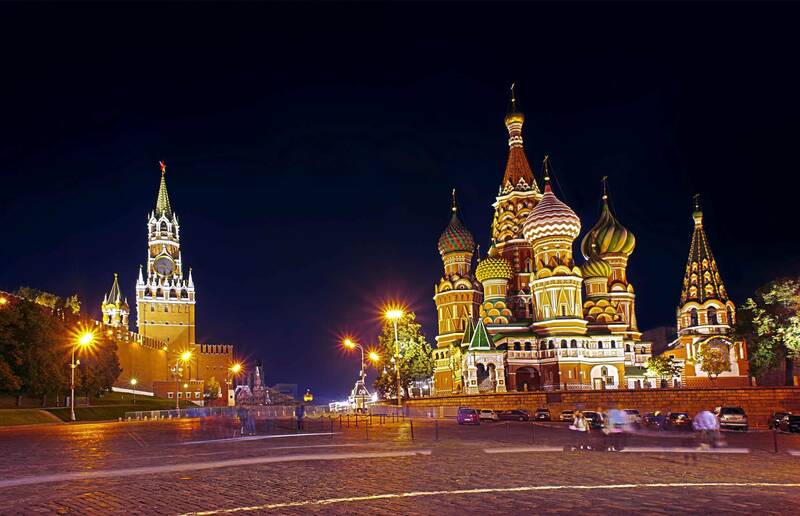 Red Square | eTips Inc.